Have you ever dream to be the real mechanic or an engineer? Now you have such a wonderful chance! 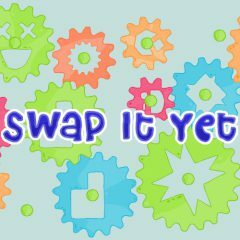 In this amazing puzzle game you have to do everything to rotate the gear. Use all your brains and play it with pleasure! Good luck! In this game we offer you to play a very interesting brain-twister. If you wanna to improve your skills and thinking abilities, you will definitely love this game. This game is played be children and adults as well. It is easy to play, use all tips and you could be the winner. You have to rotate the specified gear, but at first you need to put others gears to the right place. Thus you will have to create the chain from them. Be very attentive and try not to make any mistake. Invite your friends and play this exciting game together. Submit it at any rate!